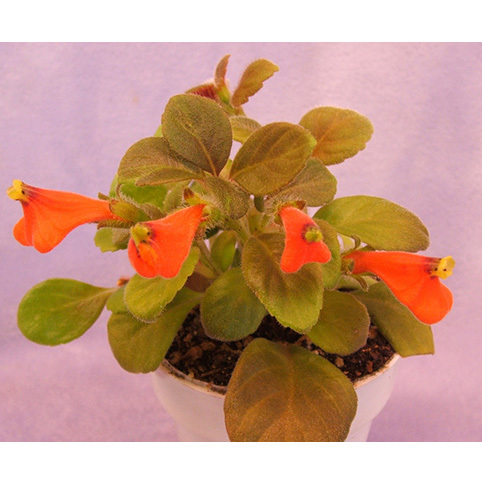 (formerly Neomortonia nummularia) Adorable little plant with tiny, round, leaves on thick, woody, stems and orange-red blooms. A very tiny plant perfect for containers. Will bloom on old, woody, growth. This is a very compact plan, shown to great effect in a 4" pot. It forms a rounded mound of foliage, covered in blooms. Needs medium-bright light, likes it a bit dry, and not too hot. Does just great on the top shelf and center of the light garden.